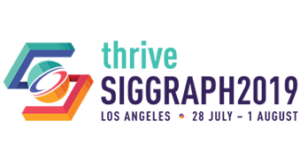 Local and regional chapters throughout the world help SIGGRAPH people promote excellence in computer graphics and interactive techniques. The 90+ professional and student chapters organize meetings, site visits, conferences, video screenings, art shows, and special events year-round. To get involved, contact a member of the Professional & Student Chapters Committee or the chapter nearest you. No chapter near you? Why not form a new chapter of ACM SIGGRAPH?